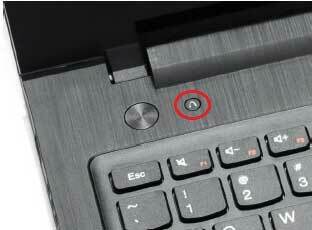 How to restore factory settings Lenovo laptop using One Key Recovery. Today I am repairing My Lenovo Laptop Ideapad 300S-11IBR, my laptop was damaged on its operating system, it seem infected with virus causing it's Operating System error. he best way to fix it is doing restore factory settings. Lenovo Ideapad 300S-11IBR Laptop is one of laptops that has been equipped with Original Windows from the manufacturer, more precisely in it already installed Windows 10 64 bit as the Operating System. And usually on a laptop that has bundled with Windows Original has a file recovery stored in a hidden partition and at any time can be used to to restore factory settings. So, you needn't to be confused if you have Windows damage on Lenovo laptops that equipped with Original Windows, without bringing it to a service store you can fix it by yourself at home. This is because on Lenovo laptops have a feature of One Key Recovery that is specifically used to to restore factory settings laptop lenovo when there is a problem with the operating system. 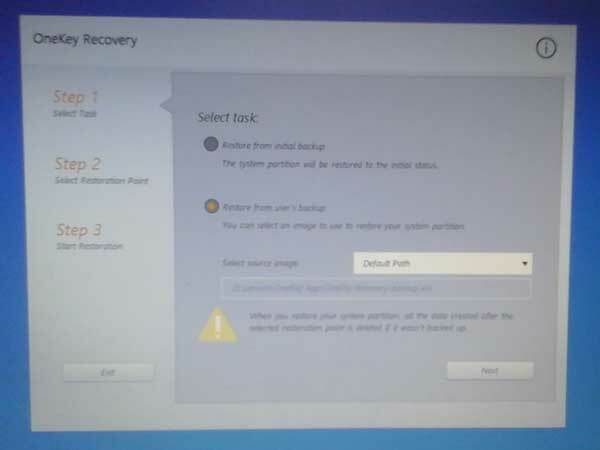 However, All you have to remember is not to format or partition the entire hard disk while installing the operating system, as this can cause loss of file recovery on the hard disk and caused One Key Recovery unable to work. 1. Make sure your laptop is off, then press the One Key Recovery button, this button is in the form of regular buttons that can be directly pressed and there is also a hole and can only be pressed using a needle (I usually use needle ink injection). The One Key Reovery button is usually located next to the power on button. 2. 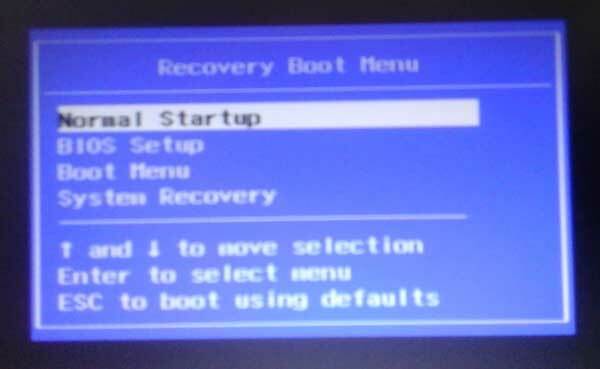 After pressing the button One Key Recovery, it will appear Recovery Boot Menu. 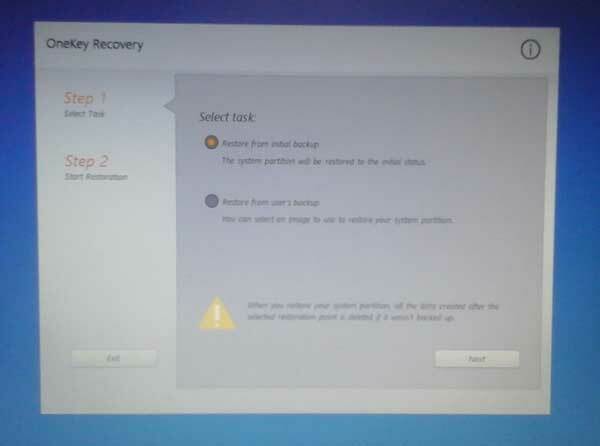 Select system recovery to start restore factory settings lenovo laptop. 3. You will be taken to the One Key Recovery menu. Select Restore From Initial Backup to restore windows to the factory setting or select Restore From User's backup if you have Windows backups stored on your hard disk. 4. Press Next button to start restore factory settings, just follow the instructions requested until the windows recovery process is complete. Easy is not it, the easy tutorial to restore factory Lenovo Laptop Ideapad 300S-11IBR using One Key Recovery.